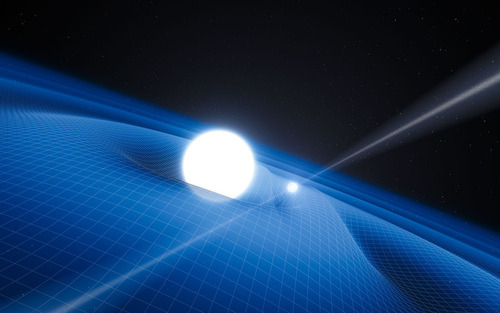 A neutron star and its white dwarf are giving physicists a challenge. This duo, approximately 7,000 light years away from Earth, is testing Einstein’s General Theory of Relativity in apparently the harshest conditions yet… and it has passed with flying colors! This system (called PSR J0348+0432) has proven to provide consistent information that agrees with Einstein’s General Relativity Theory. It was discovered by the NSF and analyzed by many other telescopes around the world. So what’s the deal with this system? Energy is given off via gravitational waves of orbital decay. In simple terms, when two masses are in orbit with each other, the combined spacetime curvature produces gravitational waves. 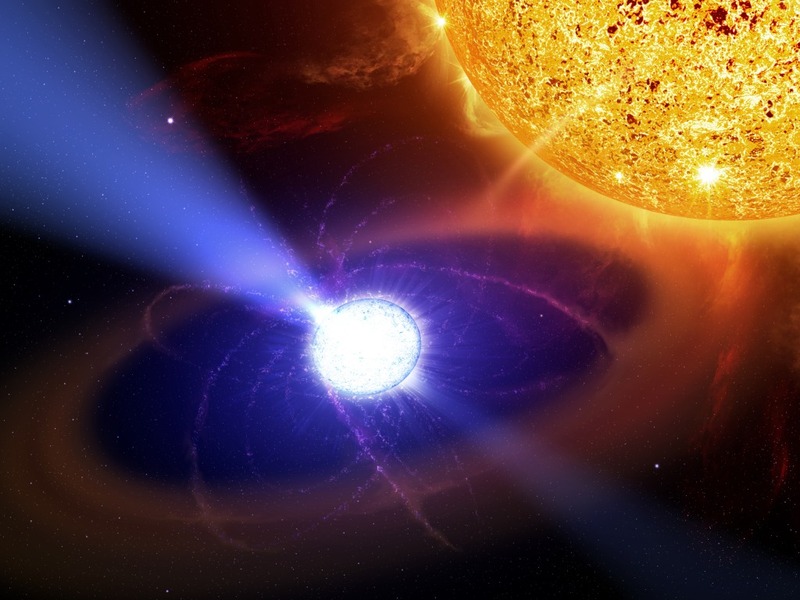 In the case of the neutron star and white dwarf, the energy is carried away rapidly enough to eventually cause their orbits to spiral in on each other and merge the two masses. The energies emitted that we measure are radio pulses, which allow researchers to determine the rate of decay of the system. Unfortunately, gravitational waves are extremely difficult to detect and the physicists need to figure out what are the characteristics of the wave they are looking for. Once they figure that out, they can separate the “noise” from the actual data from the detectors. Originally, this system provided other gravitational theories opportunities to be tested and validated. Despite constant effort from many scientists, Einstein’s Theory has reigned supreme.